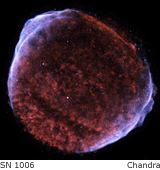 We will cover the exciting phenomena happening at the end of a star's life: supernova explosions and gamma-ray bursts, the formation and properties of compact remnants (white dwarfs, neutron stars, and black holes). This will lead us to topics at the current frontier of astrophysics, e.g., the still mysterious nature of the very first stars that formed at the end of the Cosmic Dark Ages. You will learn to look at the physics describing these cutting-edge phenomena, and make things as simple as possible, but still capture the important effects. All texts will be placed on reserve in the PMA (RLM 4th floor) and Astronomy Péridier (RLM 15.202) libraries. We won't have a Final Exam. Any score below 50 is failing. 20% of your grade will be based on your class participation. You will participate by solving in-class puzzles, and by giving brief presentations. It is important that you come to class. You will not be successful otherwise in following the course material. In addition, we will have unannounced quizzes. If you miss one, there will be no make-up quiz. There will be make-up exams ONLY for students with valid excuses. Scholastic dishonesty, in particular any plagiarism, will be prosecuted in accordance with the university guidelines.